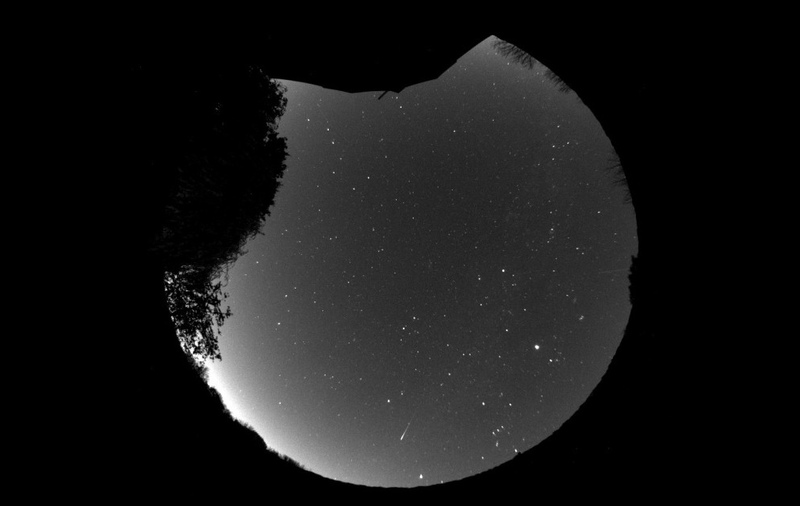 The Oculus all-sky camera by Starlight Xpress is designed to provide high quality sky images for weather, meteor and night sky observations. The camera core is based on the 1.4 megapixel 'SuperStar' and it employs a 1.55mm f2 180 degree fisheye lens giving horizon to horizon coverage. Oculus uses a SuperHAD CCD from Sony which has all of the wonderful benefits of an interline Sony CCD, such as incredibly low thermal noise and very fast electronic shutter (no need for mechanical shutters). With exceedingly low noise electronics and a fast f/1.2 180 degree fisheye lens, capturing the night sky is an absolute dream. The Oculus is USB powered and driven but does require a 12dc input to drive the built in anti-dew heaters. The software supplied allows you to capture a series of exposures and add them together to create a dramatic avi movie of the night sky. This is the perfect camera for imaging meteor showers, viewing the weather conditions at a remote observatory and imaging the night sky in a spectacular way. The lens used in the Oculus is a high quality, multicoated fisheye lens with a 180 degree field of view. With a very low F/2 focal ratio, the light gathering capacity of this small lens is incredibly good and imaging the night sky is very simple. 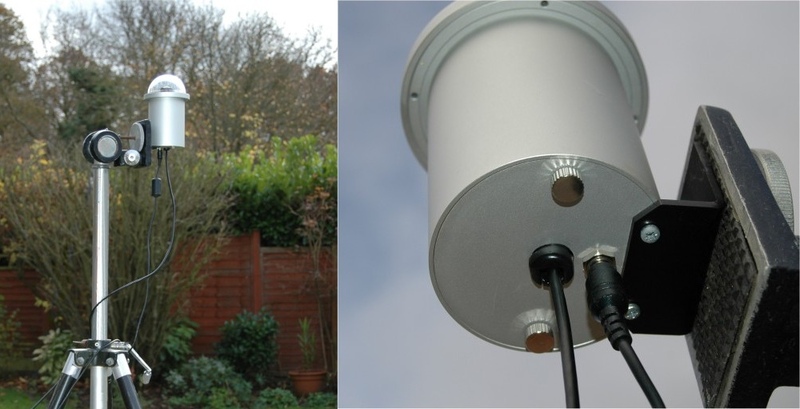 Permanently mounting electronic equipment outside in all weathers is always a concern. With the Oculus, great care has been taken during the design process to incredibly reduce weather affects on the camera. Four drain holes have been machined into the outer flange at the base of the dome allowing water to simply run off the dome and down the outside of the housing. The housing has a beautiful bead blasted, clear anodised finished which is hardwearing and looks stunning. The dome is a quality, highly polished polycarbonate 3” dome with the lens positioned at the optimum point in the dome to ensure there is no distortion in the star field. The Oculus comes with a right angled aluminum tripod bracket to secure it to the side of your dome or building. This has the standard ¼” tripod thread on the base but can also be easily drilled and adapted for other mounting options. The USB cable comes fitted to the Oculus and can be extended using powered USB2.0 hubs. The Oculus also has a 2.1mm power socked in the rear to allow the supplied power supply to connect and power the heaters in the Oculus to ensure the dome does not dew up during the evening.